So who’s up for a bit of Friday fashion, then? 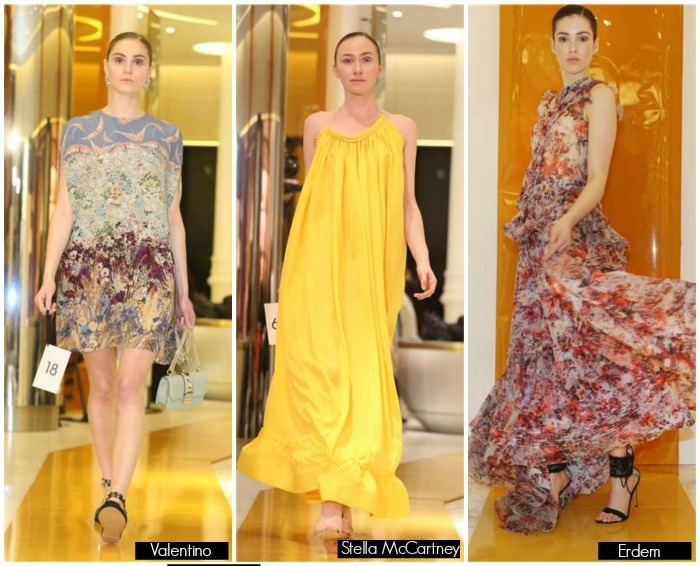 Specifically, a look-see at what Brown Thomas, Ireland’s most luxurious department store, had to show us in their SS16 fashion this week – and what that means for our new season wardrobes this year. 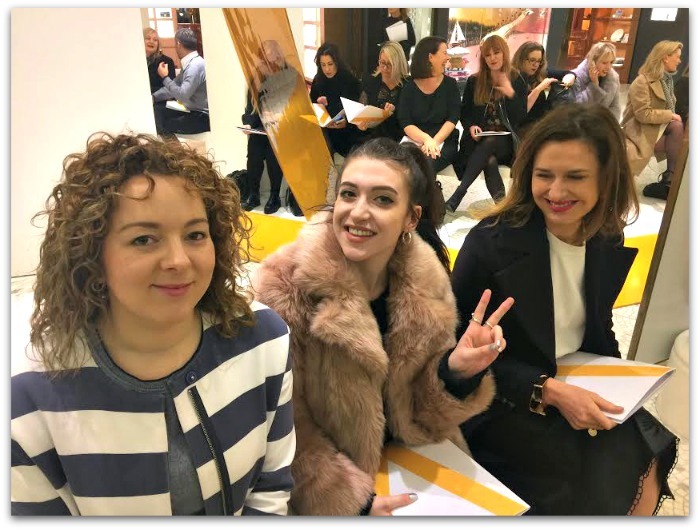 The event is great craic: editors, journalists, stylists and bloggers alike are fizzing with anticipation and enthusiasm (and very strong coffee). 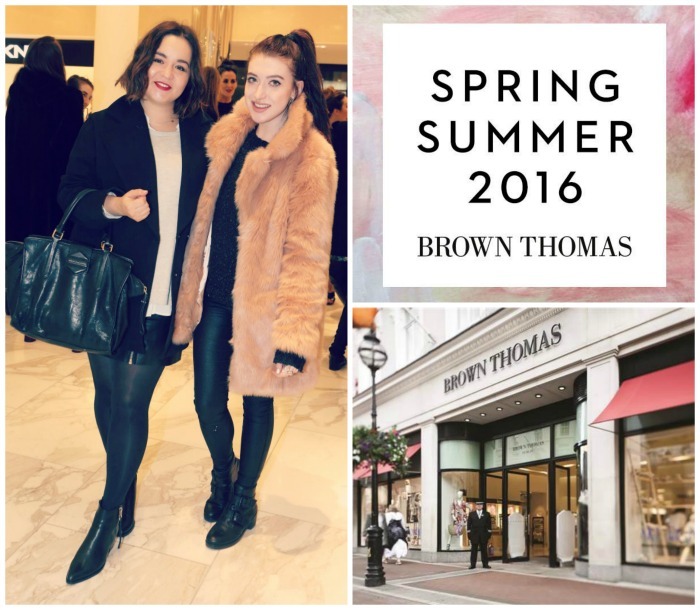 The Brown Thomas show signals that winter will soon be ending and brighter, balmier days are on their way, days in which we will actually have money and be able to buy clothes again. The shiny yellow catwalk is fizzing too, with an exuberant mish mash of themes, textures and colours - more than a hundred looks parade past, showcasing the store’s impressive range of top-tier international designers (which has been further boosted with the arrival of Mugler, Balmain, Nina Ricci and more). But despite the rich variety on show, I tried to pick out some of the key new trends. 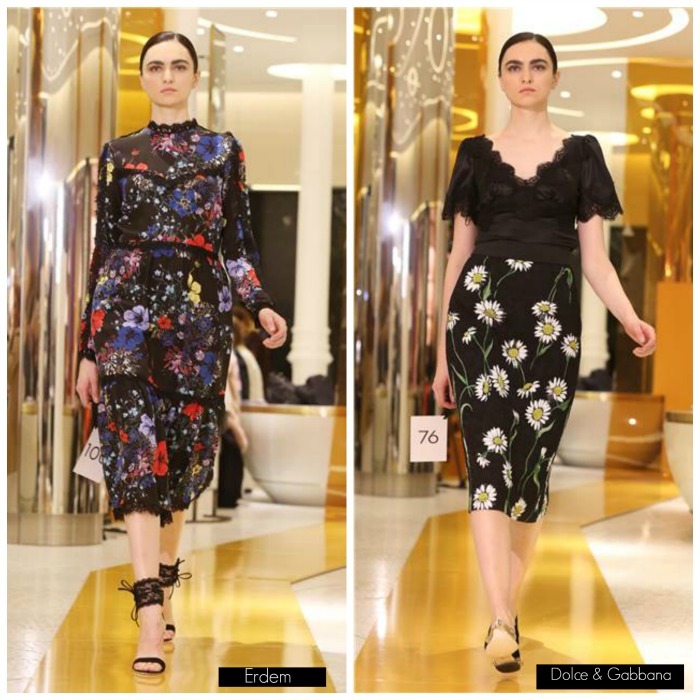 Firstly, two decidedly un-springlike themes emerged: weaving through the colourful ensembles were a sizeable number of little (and not so little) black dresses, along with dark and moody florals, from Céline, Balenciaga, Dolce & Gabbana and more. These trends are doubly welcome here in Ireland: firstly, because springtime here is more like winter-lite, which suits a darker colour palette, and secondly because our wardrobes are likely to contain lots of these pieces already. But fans of a softer, floatier silhouette are also in luck: new romanticism also featured heavily with Saint Laurent, Erdem, Valentino and Stella McCartney offering up lots of romantic, feminine pieces in a variety of paler hues. There was also lots of pink - primarily from Gucci – and white, with my favourite look being the beautiful and elegant white dress from Thierry Mugler (pictured second from top, with a floral piece from Mary Katrantzou). What trends will you be adding to your new season wardrobe?